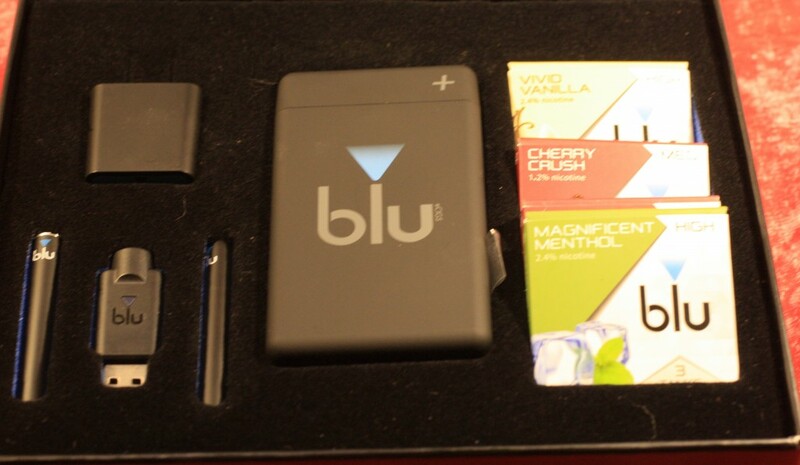 Disclosure: this product has been provided by blu Cigs for review purposes. People tend to have a lot to say about blu both good and bad. One thing can be said of them for sure: they stuck to their guns. As consumers started abandoning cigalike models in favor of tank systems, blu stayed the course. The PLUS kit continues this tradition, but offers to provide more of the tank experience in the form factor of a traditional e-cigarette. How did blu pull this feat off? By combining a higher voltage battery with a cartomizer that works more-or-less the same way that a typical tank does. Well, with one minor difference. Blu’s tanks are sealed and non-refillable. Replacement tanks are available in packs of three for about $15. They have several flavor and strength options available. The $42 starter kit includes one pack of tanks in tobacco flavor along with a couple batteries, chargers and a really nice charging case. This case features prominently the blu logo. There’s five slots when you pop open the flip-top lid. Three of the slots hold extra tanks, another holds a battery with tank attached and the final slot is the charging bay. Simply slide in a battery (without a tank) and close the lid to begin charging. 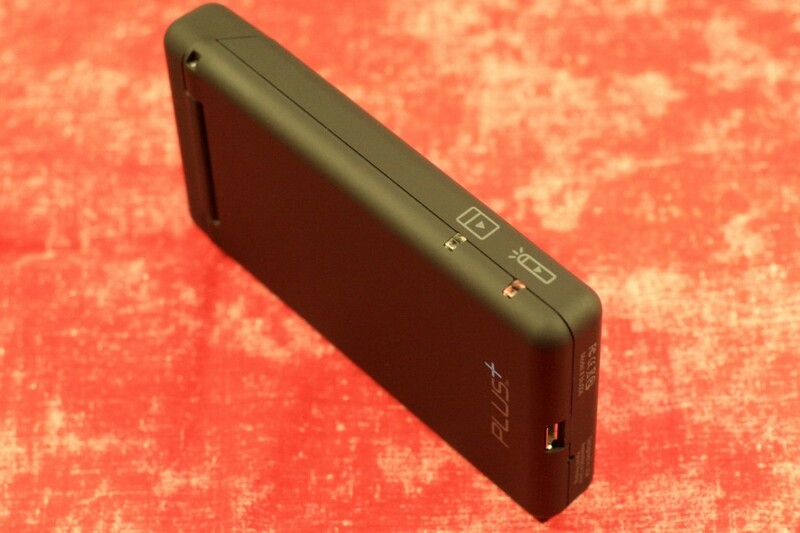 Unlike the early generation charging cases, blu’s doesn’t require you to screw in the battery first. A nice touch. The charging case can charge up a battery about 3-4 times before needing a charge itself. That is done via a micro USB cable that’s included in the box. A pair of lights on the outside of the portable charger indicate e-cigarette charging levels as well as the charge on the case itself. As you’d expect, the iconic blue LEDs at the end of the automatic batteries are still there providing a cheery, bright blue glow when you puff away. In other words, from a basic design sense, this is all well in blu’s wheelhouse. It’s what I would consider an iterative product to be sure. The tank is basically a miniature bottom coil tank inside a cartomizer shell. There’s a small head on the bottom and most of the interior of the cartomizer houses e-liquid without the traditional filler that exists in most pre-filled cartomizers. So, do these improvements make this storied brand’s new product competitive? Yes and no. Purely talking vapor, this is probably one of the best cigalikes I’ve tried. There’s plenty of vapor, and the flavor is good. I’d say that the vapor production compares favorably to some of those CE5/eGo combos you can get at convenience stores. The draw on the automatic battery is very smooth and doesn’t require a whole lot of suction. 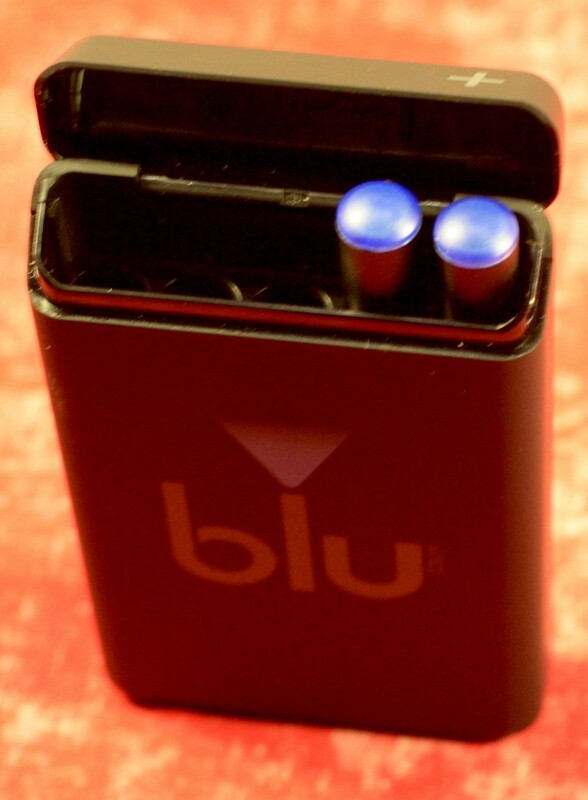 As far as improving on the original blu e-cigarette goes, I think they did a great job. But, I’m not sure if it’s quite enough. Perhaps it will put them on better footing with other Big Tobacco-owned e-cigarettes like Mark Ten and Vuse. 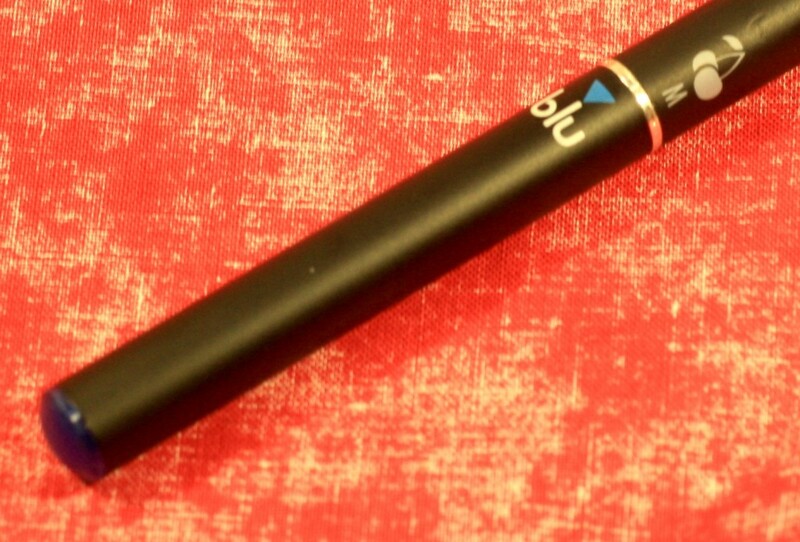 But, it doesn’t change the fact that consumers are migrating away from this style of e-cigarettes. One of the reasons for this is the ability to refill the tank systems for considerably less than it costs to buy non-refillable tanks and cartridges. And let’s face it, the tanks for the PLUS kit are very expensive when compared to the cost of replacement eGo tanks and e-liquid. Unless the regulatory atmosphere changes to favor proprietary systems as some fear, it doesn’t seem blu’s offering will do all that well against the huge ecosystem of open systems. You can check out one of these PLUS kits for your self at blu’s website. NEXT POST Next post: New Vaper’s Rights Site True Astroturf?